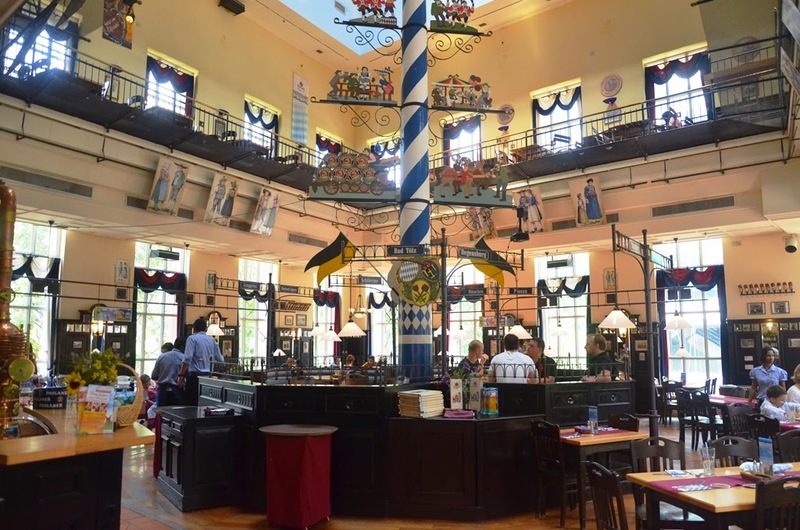 Singapore's only German microbrewery and restaurant, Paulaner Brauhaus has been a favourite haunt of ours for the last decade. 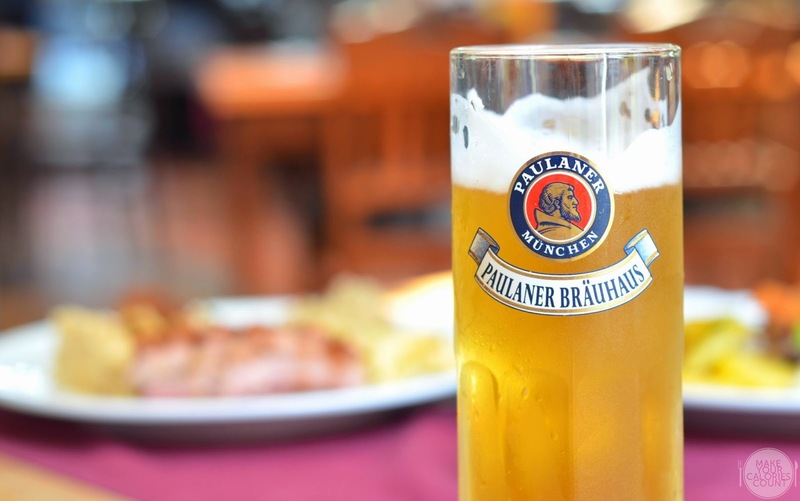 With a very typical German interior decor and Bavarian menu, we are quite honestly, more of a fan for their fresh lager! For those interested in how their beer are being brewed, you may wish to learn more here. While Paulaner offers a Sunday brunch menu typically, we visited during the extended weekend over Easter holidays for their special brunch buffet that not only offers free-flow freshly brewed Paulaner beer but also German delectables such as roast leg of lamb and crackling pork knuckle! 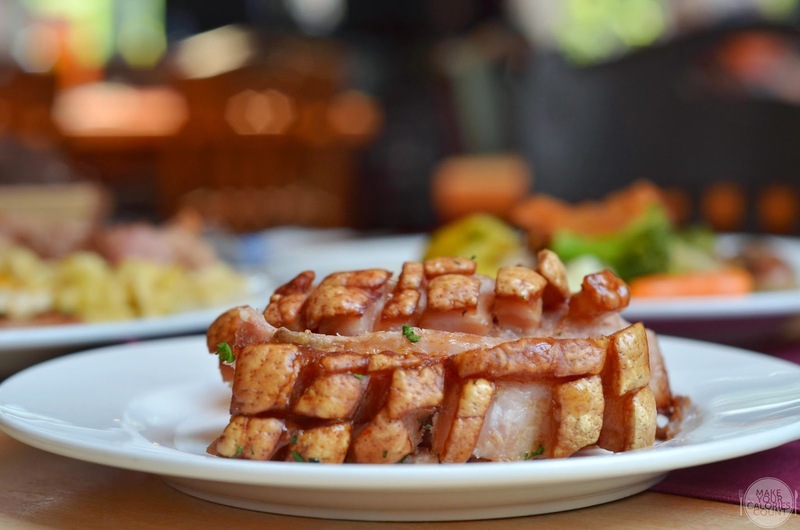 For those who love their meat, this would be an absolute delight. Other than the nice crackling of the skin, there was a beautiful layer of well-defined fat amidst the tender soft pork belly. The variation in textures made it a must-have for those who love a juicy cut! One of the reasons why Paulaner remains one of my favourite go-to restaurants is that consistently good crispy pork knuckle that goes perfectly with a pint of fresh brew. 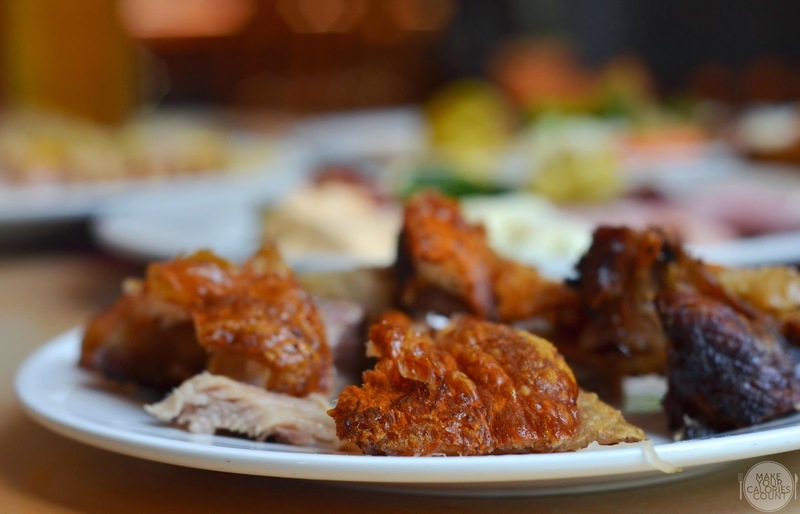 Hearing the golden crispy pork skin crackle with each mouthful is guaranteed to bring a smile to your face. 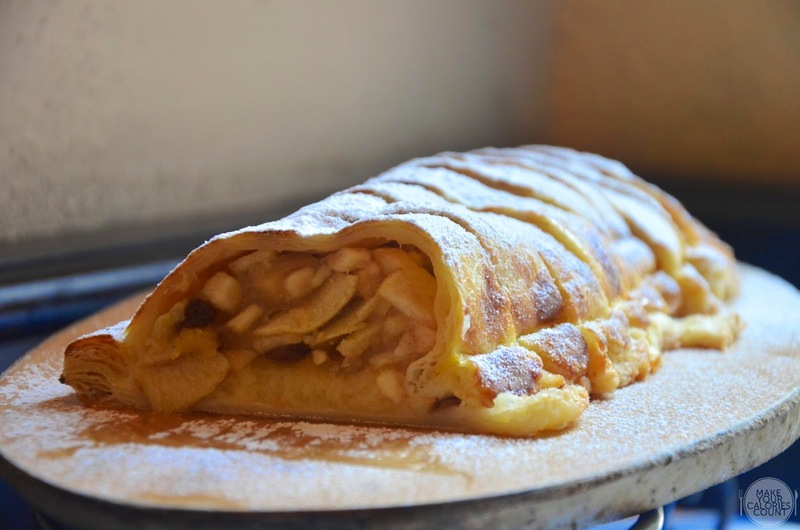 Do not forget the various types of mustard sauces, both hot and sweet, to pair with this! 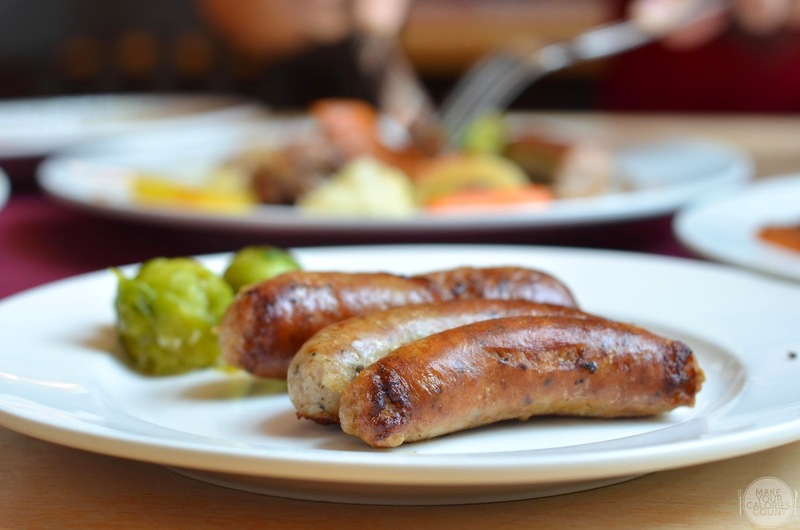 For the sausage lovers, be sure not to miss the hot stations as these are one of the must-haves in my opinion! Beautifully grilled to golden brown delicious, the juicy mince on the inside would make you crave for more. While the ladies at the table however thought that it was too salty for them, it pleased me perfectly fine! While the mains and various appetisers did the magic for us, we found the desserts slightly disappointing. The desserts looked and sounded good with the likes of classic Blackforest cake, cheesecakes, apple strudel and tiramisu but when it comes to taste, each of these tasted pedestrian with no real star. While dessert is usually the last course of the meal to bring everything together, it was the fresh lager that did it on this occasion. No gentlemen or ladies for the matter would ever complain about free-flow beer to complement a good meal! With six buffet stations, there were the cold and salad stations which offered must-tries such as the Marinated Atlantic Salmon with dill mustard sauce or even the thin Beef Carpaccio with Parmesan cheese. What we also enjoyed was the Bavarian potato salad with fresh chive and bacon bits that added some grind to the carbs. For those who love their soups and bread, there were two separate stations to bring you just that. 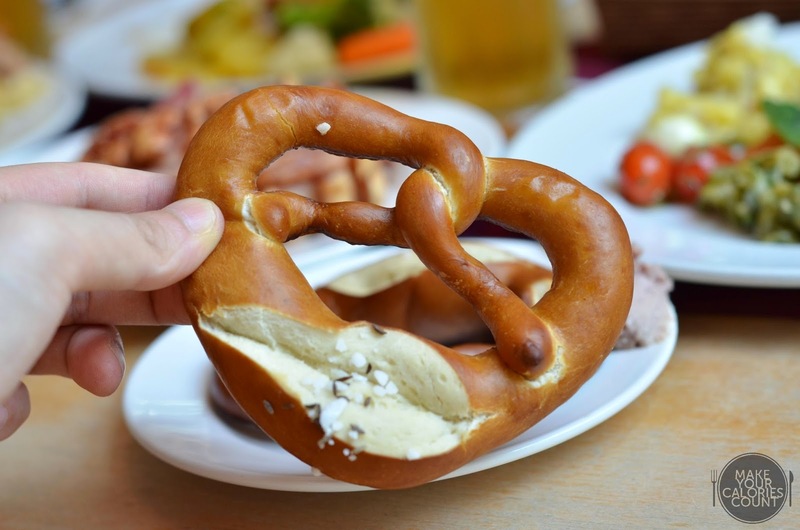 It is impossible to resist fresh and warm pretzels that would go perfectly well with some butter and liver mousse! 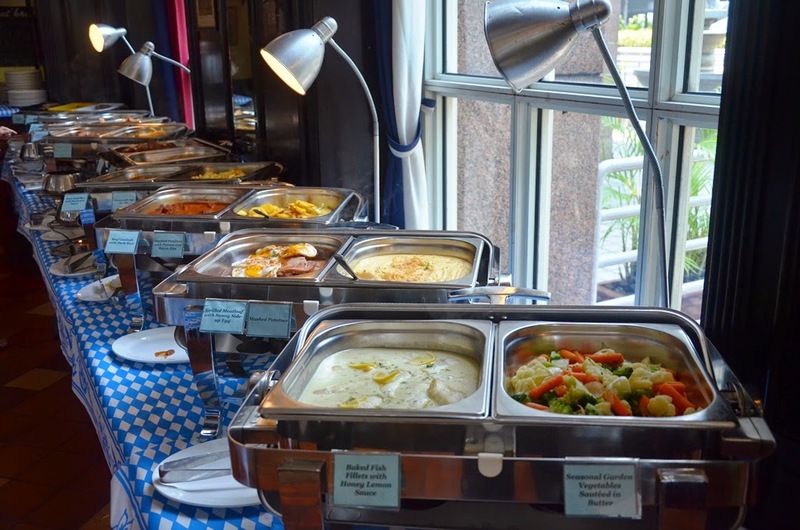 Overall, we enjoyed the buffet really well and it came in at an affordable S$58/++ per person. Apart from special occasion meals such as the Easter brunch, Citibank and AMEX cardholders can also enjoy an additional 15% discount to the bill!